Rosemary Hill is a polycrafter. She’s delved into multiple arts, drifted with creative ebb and flow from one craft into another, and even blended a few together like a master perfumier. 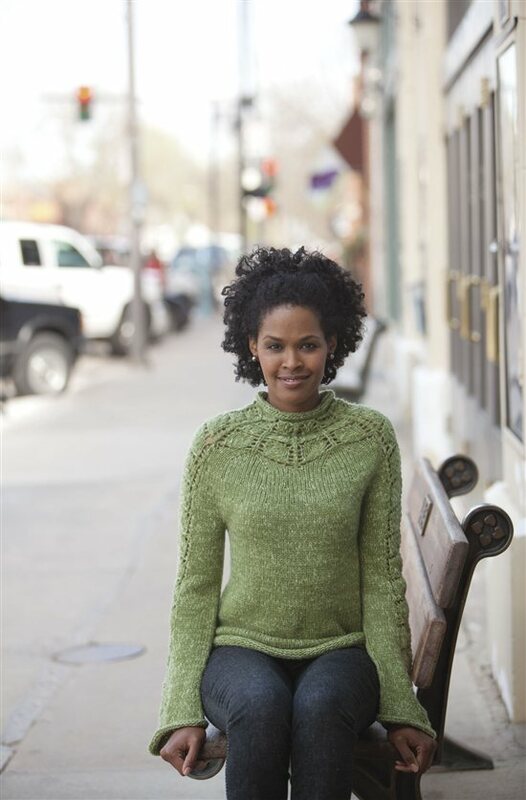 Blogger, humanitarian, purveyor of Designs by Romi, and architect of the Leyfi Pullover (Interweave Knits Fall 2010), Ms. Hill steps off the Rosemary-Go-Round for a minute to answer a few questions. Q: Your blog says that you knit, crochet, bead, paint, design, and spin. Which is your favorite? Is jewelry design your “real” job? I am really loving designing knitwear! It started out as a little aside to my shawl pins, but it's become an obsession. I find myself thinking of stitch patterns, yarns, and different constructions all the time. Spinning is my relaxation; it's a meditation to me. I do still love the metal working, but I can no longer say it's my “real” job. 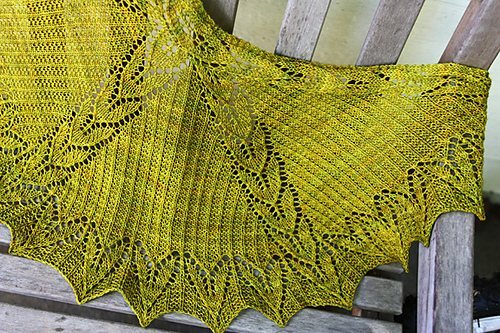 In the past year, I've started a shawl pins & lace club and an eBook subscription (I'm designing and knitting 10 shawls in 2010 and 7 are going into the book! ), as well as designing for publication. I've been spending much more time designing knitwear than anything else! And I don't even remember the last time I picked up a paint brush. One of these days . . .
Q: Where did the inspiration for Leyfi come from? I was looking at a cowl design—I don't recall the particulars at this point—and I started thinking how cool it would look as the top part of a sweater. 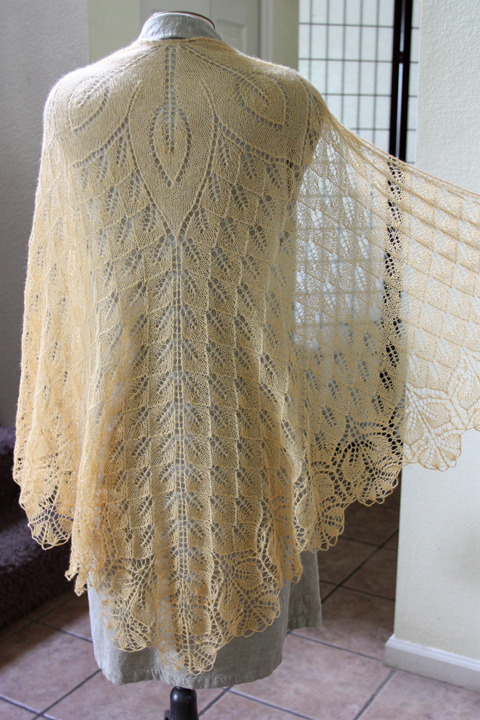 I love unexpected lacy details, and in unexpected weights of yarn! 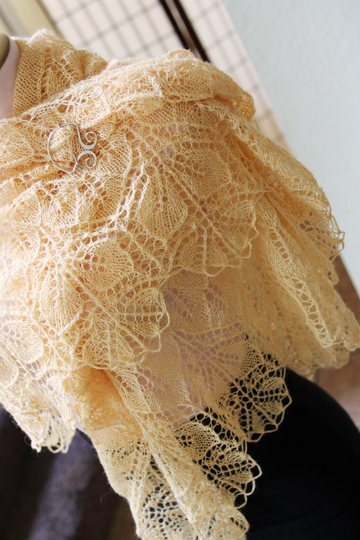 As I was trying to work out the details in my mind, I had a sort of minor brainstorm in the realization that it could be shaped with increases within the lace like a doily. Then it occurred to me that, if I used a round yoke, it would look like a lace version of an Icelandic sweater, and the geeky side of my knitter's heart rejoiced! It sounds like a really simple shaping to do, but I ripped the top of that yoke countless times! It had to be just right. In the end, the proportions worked out great! I'm really really happy with the result. I almost couldn't part with the sweater. I now have yarn in stash to make myself one, which is completely unheard of. Usually, I can't wait to get on to the next thing and leave the finished projects in the past. 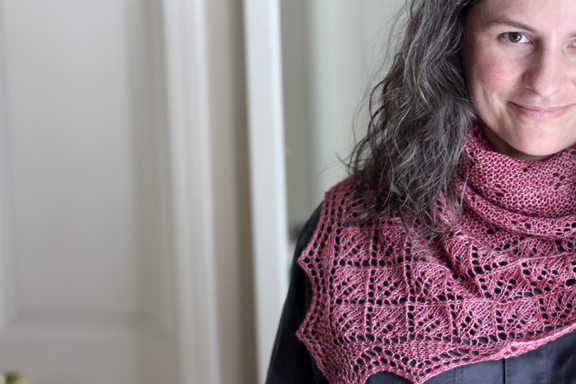 Q: Please tell us more about your Brandywine shawl/Doctors Without Borders project. When Haiti suffered its devastating earthquake, I was so impressed by the instant call to action in the knitting world. People were donating pattern proceeds and more and it just gave me the warmest and fuzziest feeling! As a native of California, I went through the Loma Prieta earthquake in 1989, and I felt a particular sorrow for and kinship with those poor people. I could only imagine what they were going through, trying to survive the aftermath of a devastating earthquake without the amazing infrastructure we are lucky enough to have in the U.S. Although I wanted to do something to help right away, I also knew that Haiti would need help far into the future. I set about to design a special one-skein shawl to sell for Haiti relief, and that shawl became Brandywine. (My husband thought of the name and I loved it!) I wasn't sure how many I could sell, but I tried to make it a fun and fairly simple project that would appeal to many people, and then I set a high goal for pattern sales: 10,000. $5 of each sale goes to Doctors without Borders, so the goal was to donate a total of $50,000. As time passed, I looked for other worthy charities that were helping Haiti's people and I just couldn't find one that impressed me as much as Doctors Without Borders does. So far, with the help of some truly amazing knitters out there, I have donated $14,000! And I'm still working on it. I will keep donating until I reach my goal! Q: When and how did you start blogging? I started blogging in September of 2006. My first post was a tutorial! I was really enjoying other people's blogs, and I wanted to share in the community. Q: Tell us something about yourself we might not expect. That's a difficult one! I'll give you a few random items to choose from. 🙂 I love the smell of silk and I always sniff my yarn. I have an undergraduate degree from Eastman School of Music in French horn performance and a graduate degree from San Francisco State in Radio and Television. Before I transferred to Eastman, I went to Carnegie-Mellon (with the current conductor of the Boston Pops) where I was in a sorority. I can coordinate and match colors from memory. I don't know if any of this is unexpected! Q: What do you hope to be doing in another twenty years? Q: And finally: cake or pie? Cake, all the way! Rich, moist, chocolate, decadent.